↑ Mech, L.D., Boitani, L. (IUCN SSC Wolf Specialist Group) (2010). 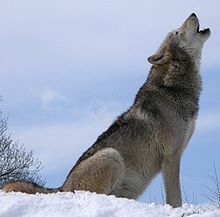 "Canis lupus". IUCN Red List of Threatened Species. Version 2011.2. International Union for Conservation of Nature.